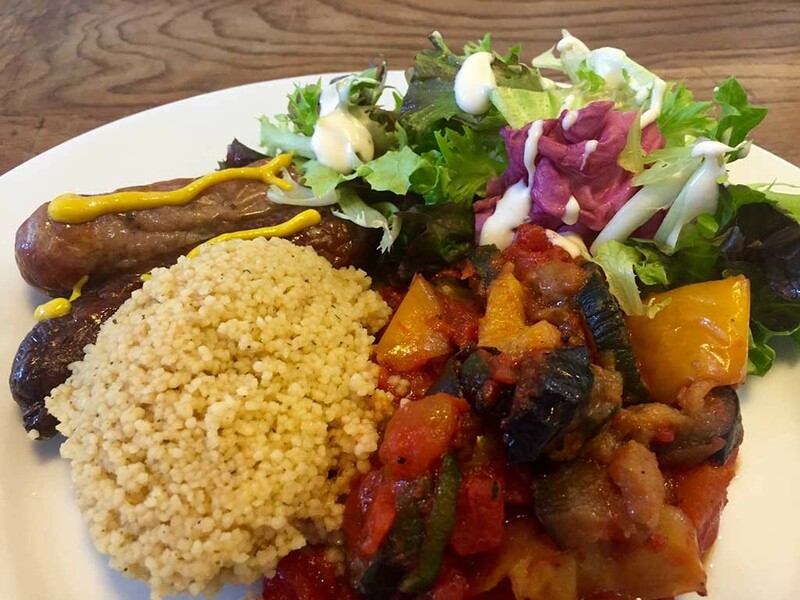 When you’re working as an accountant in Penryn all day long, with rain hitting the windows, there’s nothing more heart-warming than a delicious plate of sausage and vegetables, with a side of cows-cous and salad. What a treat on a miserable day! Thanks Tom.